The apartment was very clean and comfortable. We really liked the balconies. The area is old and historical. Loved it. 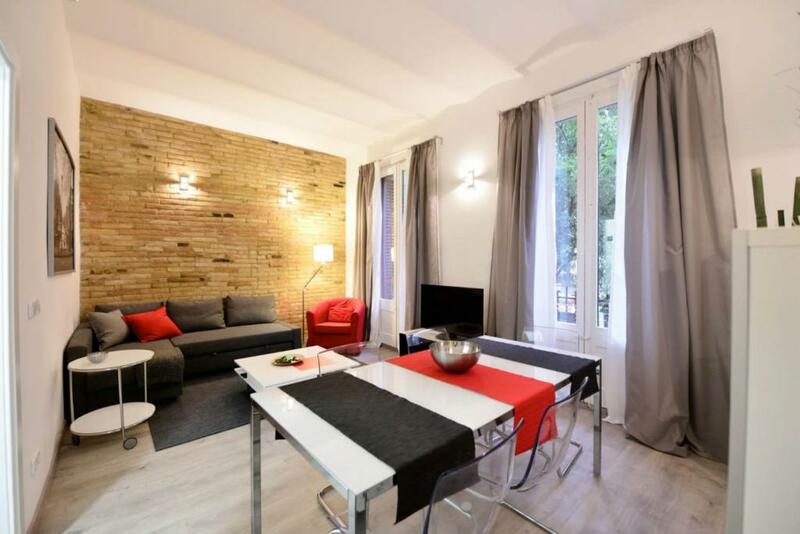 The appartement was perfect located near Sagrada Familia and despite it was quite inside. Helena, the host, allowed us to stay in the flat until the afternoon on leaving day. The location of the apartment is very good. You can explore many sights by walking. Everything was perfect. Helena helped us a lot, location is ideal, apartment is cozy and clean. All necessary stuff was there. The location is fantastic! Across the road from Sagrada Familia, you can sit on the balcony and see the Sagrada Familia at night which was beautiful. Across the road are plenty of eateries and cafes. 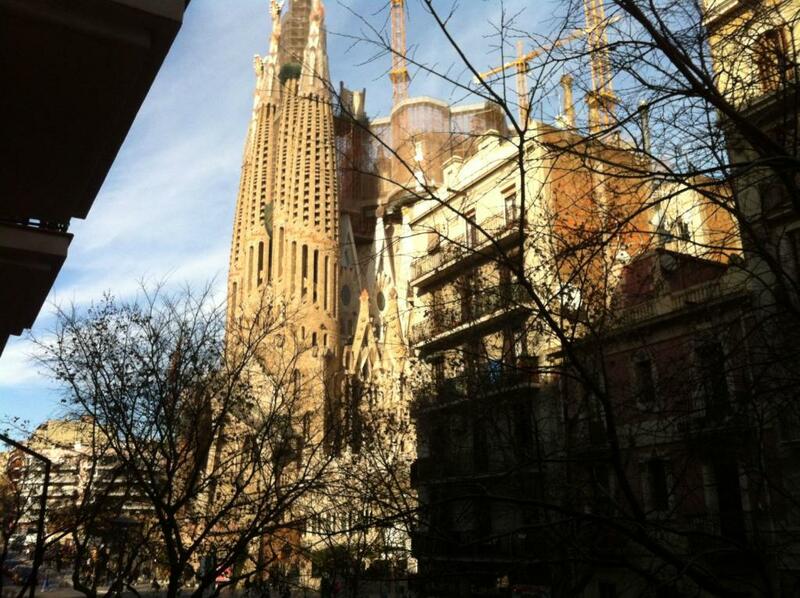 The bed was comfortable, the house was clean, almost spotless and the view from the terrace was Sagrada Familia! Night time you can relax in front of Sagrada, relaxing, hop on/off and metro just outside! 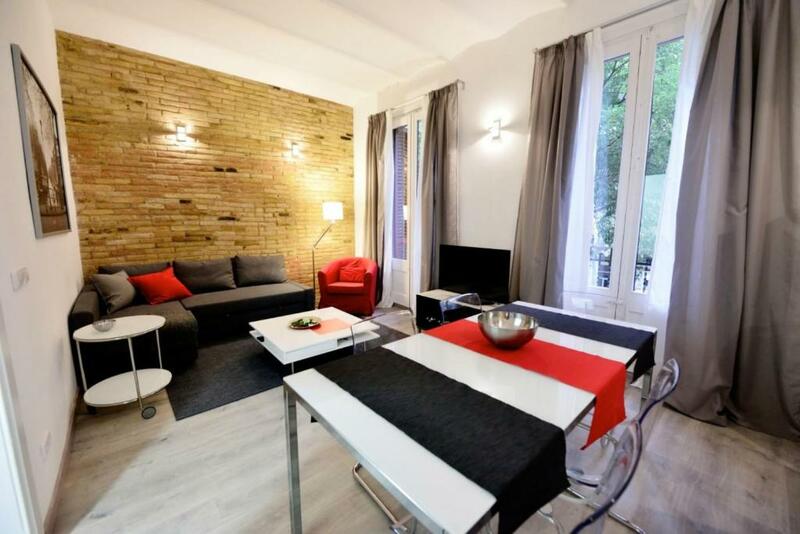 Excellent location near Sagrada Familia and underground. 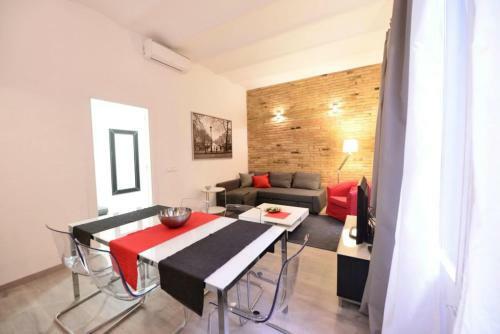 Spacious flat, good equipment. 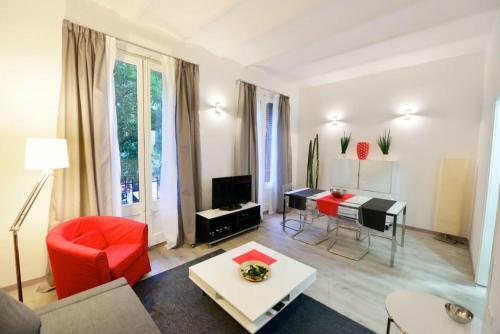 Lock in a great price for NiM Sagrada Familia – rated 8.1 by recent guests! Located 650 feet from Sagrada Familia, NiM Sagrada Familia is a self-catering accommodations in Barcelona. Cafeterias and tapas bars are 150 feet away. 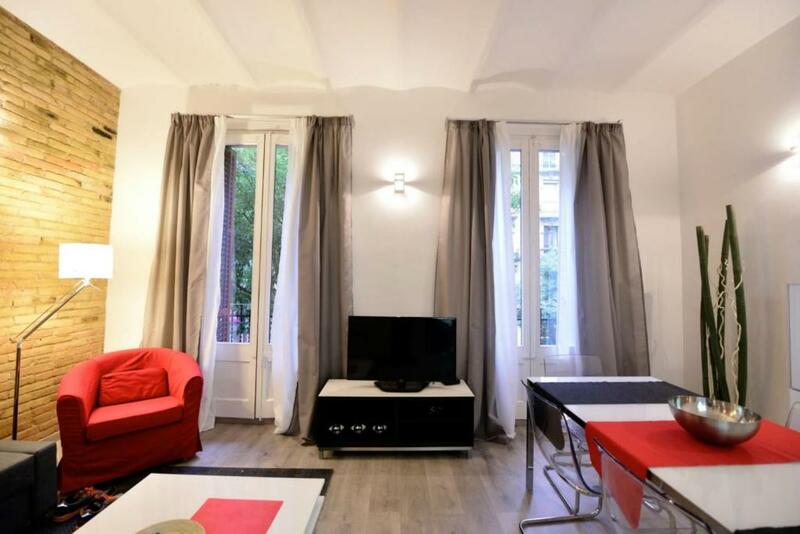 La Rambla and Plaça Catalunya are 1.2 mi away. Camp Nou Stadium is 3.1 mi away. Barcelona El Prat Airport is 8.1 mi away. 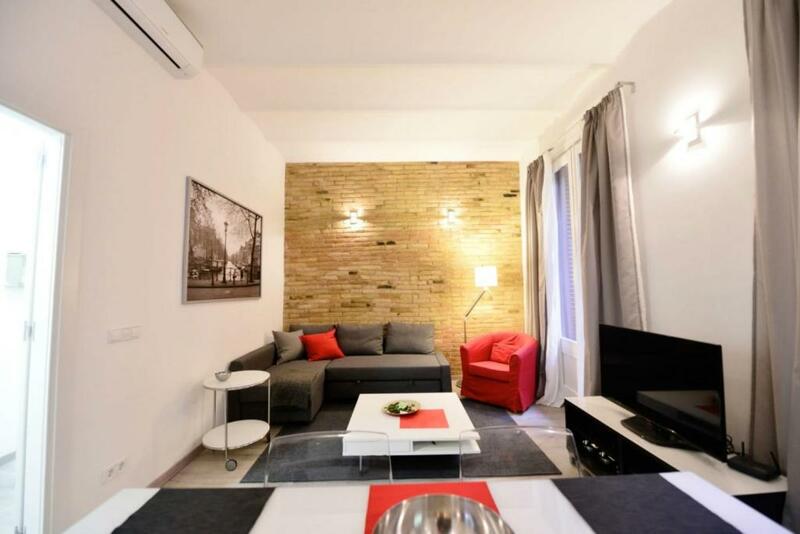 When would you like to stay at NiM Sagrada Familia? DESDE EL BALCÓN SE VE LA SAGRADA FAMILIA . House Rules NiM Sagrada Familia takes special requests – add in the next step! NiM Sagrada Familia accepts these cards and reserves the right to temporarily hold an amount prior to arrival. -From 21:00 to 00:00, EUR 30. Check-in is not possible after 00:00. Please inform NiM Sagrada Familia of your expected arrival time in advance. You can use the Special Requests box when booking, or contact the property directly using the contact details in your confirmation. 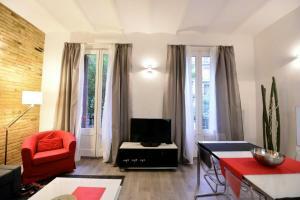 Please note that check-in and key collection take place at: sardenya 281, barcelona 08013. There was a lot of black mold in the shower. In one sleeping room a windowglass was missing and nobody told us before. On the second day of our stay, we noticed that a window in the second room was broken (it was hidden behind the curtain)! As we reported that to the host, they told us that the window was broken by the previous visitors and that they could not fix the window that fast. Its just not acceptable that the host didn‘t mention the broken window at our arrival! Not everything in the apartment was clean. All the dishes and the wardrobe weren‘t clean. In the second room there was no bed, just duckboards. Air Conditioning unit in kids room didn't work. If the AC unit in Master bedroom was on full blast (freeze Mom & Dad) and both bedroom doors were left open (and all other doors bathroom, kitchen, living room were closed), the kids had a small reprieve from summer heat. Smell of sewerage in the stairwell to the apartment. Needs maintenance, shower holder was broken so had to hold the shower whilst trying to wash, very difficult. Could have supplied more coffee pods and sugar. Trundle single beds in second bedroom - very tight for space and beds very firm. - They charge too much deposit and it has not been returned yet even if more than a week has gone after I checked-out - As someone said on the review, you can feel that this is too much about the business. There's a dishwasher, a laundry, or a coffee machine, but there's no detergent, instant coffee, or even a tea bag. They don't even provide any toilet paper, they told us to buy it. 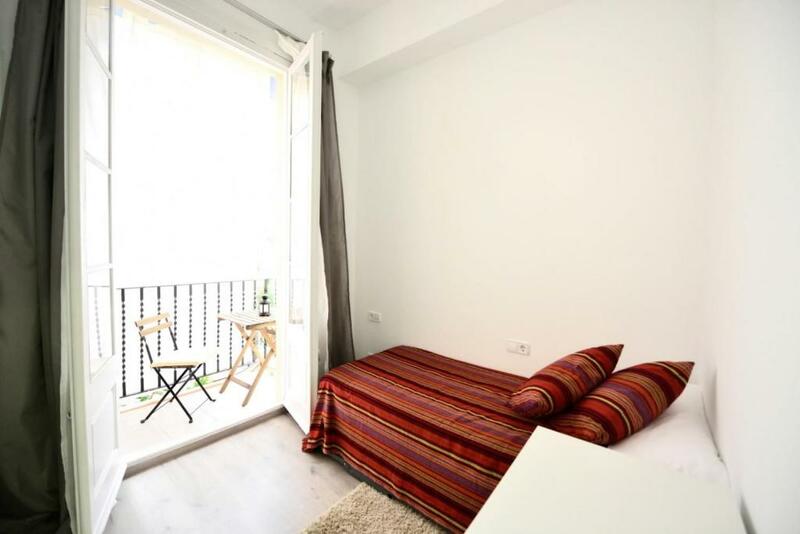 - To the people who are thinking of booking this apartment: please just bear in mind that there's literally NOTHING in the apartment. If you are ok with this, go for it. If NOT, I wouldn't recommend this apartment. With five people two bathrooms would of been nice but understood that it would be impossible in this apartment. We could hear noises from the neighboring apartment.